Whether you are concerned with excess skin on your upper eyelids or bags under your eyes, Dr. K. Roxanne Grawe can help you reach your goal to have youthful, bright, beautiful eyes! An Upper Blepharoplasty or Upper Eyelid Lift removes the skin on the upper eyelid which gives you a younger appearance and makes putting on eye make-up easier. 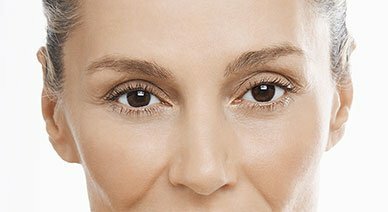 A Lower Blepharoplasty or Lower Eyelid Lift can remove excess skin, dark circles, and bags under your eyes. Improve that tired, angry look and look forward to youthful eyes! Want to schedule a blepharoplasty consultation, have a question, or need help with financing? Contact us today! When you come to a consultation at ROXY Plastic Surgery, Dr. Grawe will examine you and determine if you are a good candidate for Upper Blepharoplasty, Lower Blepharoplasty or both! You will discuss how eyelid surgery works and you will be able to talk about a specific plan for your specific wants and desires. 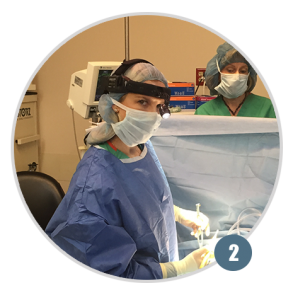 Eyelid surgery is an outpatient surgery so you can go home the same day. The surgery takes 1-3 hours depending on what improvements you are having done. You can choose to have twilight anesthesia (IV sedation) or go all the way to sleep (General Anesthesia). For Upper Eyelid surgery, there is a small scar along your natural crease. For Lower Eyelid surgery, the scar is near your eyelash line where you would wear eyeliner. You will wake up from and will be able to leave to go home about an hour after your procedure is finished. Most people have minimal discomfort after surgery which is easily taken care of with pain medicine which will be prescribed for you by Dr. Grawe. You will notice a difference right away. You will have some swelling and possibly bruising for 1-2 weeks after surgery. Your stitches will be removed in the office five days after surgery. Before you know it, you will have eyes that are the envy of all your friends! You will notice a difference immediately after surgery but you will be swollen and the results will improve with time as the swelling goes down. You will need to sleep with your head elevated for the first week. You should not lift anything heavier than a gallon of milk for at least 2 weeks after surgery. You should walk around immediately after surgery and NOT stay in bed. This is important to prevent blood clots. You should eat a healthy diet and as much protein as possible to promote good healing. 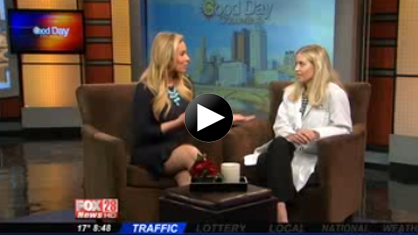 You may drive and return to work when you are no long taking prescription pain medicine. Most people are able to return to a light duty job about 1- 2 weeks after surgery. After you are healed from eyelid surgery, people around you will not know what you have had done. You will often hear that you appear “well rested” or “bright eyed.” They often think you have a new hair color or a suntan. 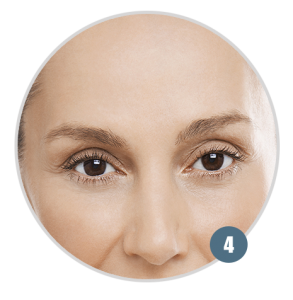 The eyelid lift will help you appear youthful and vibrant without looking operated on. Individual results may vary. The human face is normally asymmetric. There can be variation from one side to the other in the results obtained from Blepharoplasty. If there is concern, further surgery may be necessary. Some patients have dry eyes after eyelid lift surgery. This is more common in people who wear contacts or had a problem with dry eyes before surgery. This can happen due to swelling and Dr. Grawe may have you use over-the-counter eye drops until it improves. This is a very rare but serious complication which is due to bleeding immediately after surgery. This would be identified immediately after surgery and treatment to stop the bleeding would be done. Double vision rarely occurs. It is temporary and due to swelling of the eye. The lower eyelid can be pulled down temporally after surgery due to contraction of the scar. If this happens, Dr. Grawe will teach you massage exercises you can do to improve this problem. Very rarely is further surgery required.